*Actually*, it’s about ethics in time travel. Daleks. Giant killer wasps. Sentient fat babies. 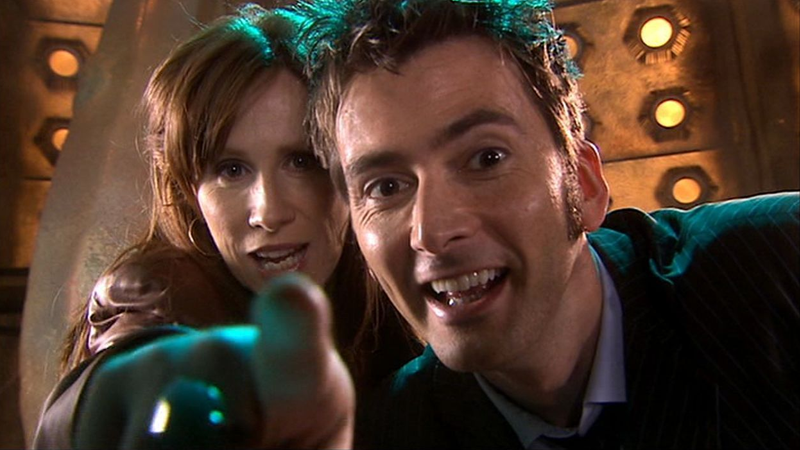 The Tenth Doctor and Donna Noble teamed up against some pretty awful bad guys during their time on Doctor Who, but a new novel will see them fight their most horrible foes yet: assholes on the internet. Okay, so they’re actually fighting an alien virus that feeds on the hate brought about by assholes on the internet, but still, it’s a pretty solid “ripped-from-the-headlines” type of story. The thing is, I’m a Doctor Who fan, obviously, and 99.999% of fandom is absolutely lovely – I can’t stress that enough – but a tiny proportion are quite aggressive, and that’s puzzling to me, because it’s the antithesis of everything the Doctor stands for. So the book is looking at modern rage, how pent up people can get. It’s pent up anger that the virus feeds on, all that frustration with nowhere to go. In the Blood is the first full-length Tenth Doctor novel the BBC has released since 2009 (a.k.a .since Tennant was actually still the incumbent Doctor on the show) and is due for release in May. Between this and the Big Finish audio plays, it feels like we’re in the middle of a Tenth Doctor renaissance this year—a year where Doctor Who itself is barely going to be on TV. But if we get more stuff based on the Doctor and Donna, though, I can’t honestly complain.